In preparation for worship this Sunday, read Micah 6:1-8. This text contains some of the most frequently quoted words of the Hebrew Bible. What are they? What is this sermon often called? Jesus begins teaching here at the beginning of chapter 5. Where does this section of teaching end? The Beatitudes begin with the word "Blessed," in some Bible translations, while the word is interpreted as "Happy" in others. In your opinion, which translation of the word better fits the teaching? Why? What strikes you as most important about The Beatitudes? On your journey toward Sunday, I hope you are able to sit a while with Scripture and the above questions. Then join us in worship so we can continue the discussion. May you and those you love know the power of God's blessings this week. What promises do you find in this text? How is light used as a metaphor? 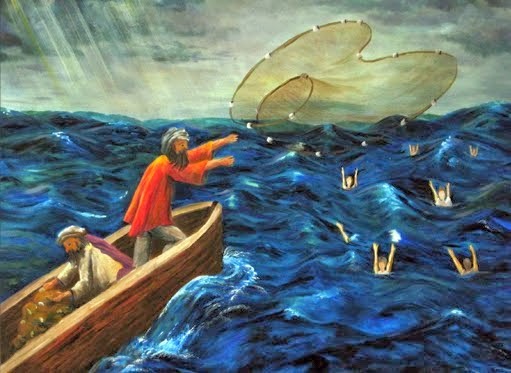 What does Jesus mean when he calls his followers to be "fishers of people"? What must I leave behind to be a faithful disciple of Jesus? May the Lord bless you and those you love this week. I look forward to seeing you face to face on Sunday and joining you in worship of our Gracious and Holy God. Our Scripture readings for Sunday include Isaiah 49:1-7 and John 1:29-42. In the gospel reading John the Baptist testifies about Jesus, "I saw the Spirit descending from heaven like a dove, and it remained on [Jesus]. I myself did not know him, but the one who sent me to baptize with water said to me, 'He on whom you see the Spirit descend and remain is the one who baptizes with the Holy Spirit.' 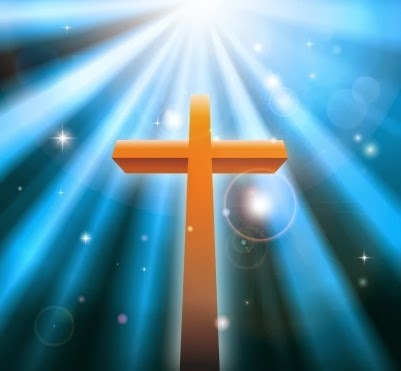 And I myself have seen and have testified that this is the Son of God." Afterward, two of John's disciples leave in order to follow Jesus. How do you imagine the person, John the Baptist? Finally, what is your calling and how are you fulfilling it? As always, I look forward to worshiping with you Sunday.